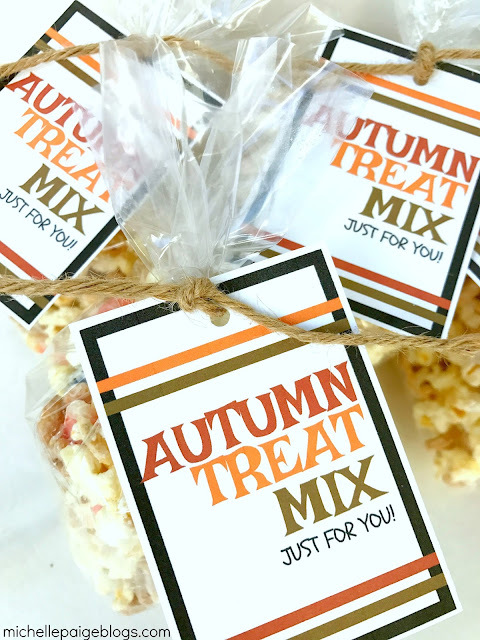 It was just what I needed to make a fun Autumn Treat Mix to give neighbors and friends! 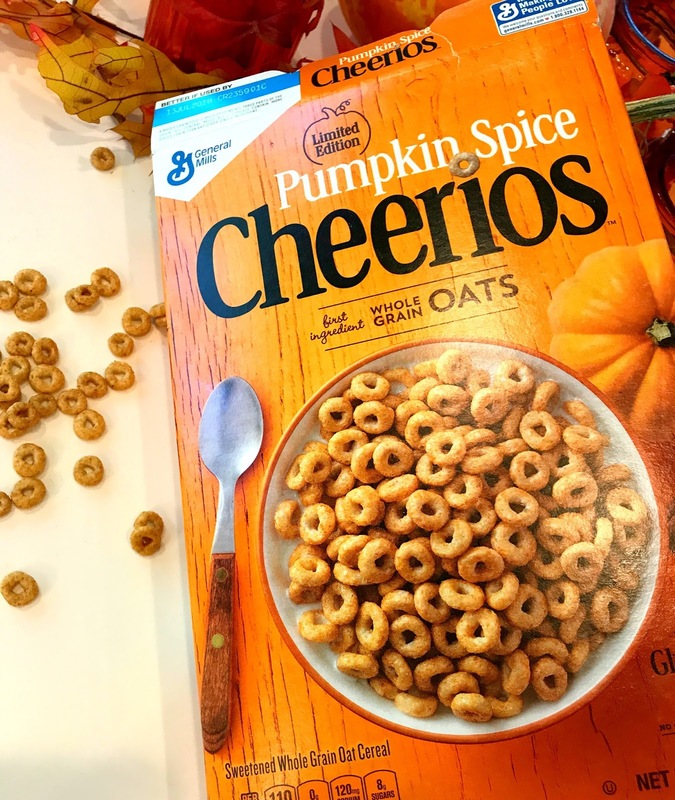 Have you seen these Cheerios in your grocery stores? 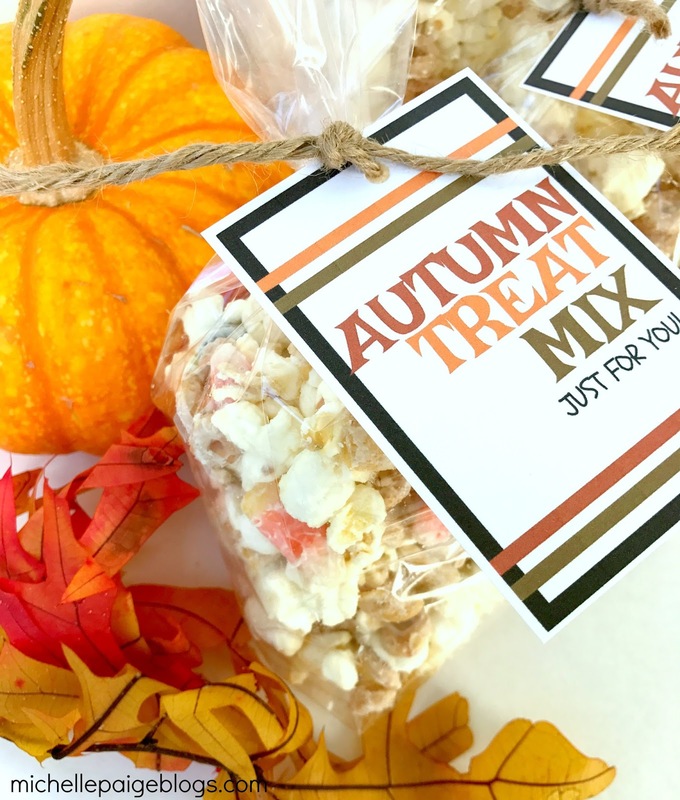 Here's an affiliate link to order a box online. 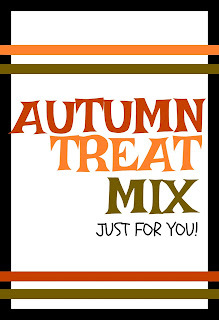 This candy coated treat mix is a favorite in our house. But it comes with a warning! Do not make alone. You need an accountability partner...someone to make sure this treat gets delivered. 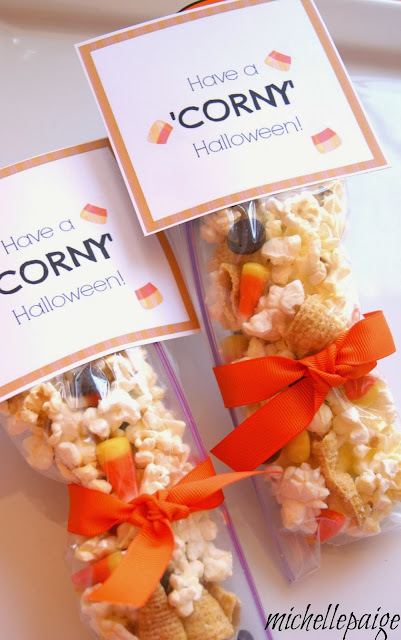 As soon as you make this, bag it up immediately with the cute tag tied on and physically walk...no run! it over to your neighbor's home. 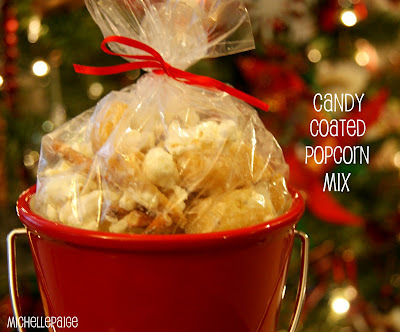 Failure to do this will result in excessive eating and having to make another batch! You think I'm joking? I don't joke. OK, warning has been issued. 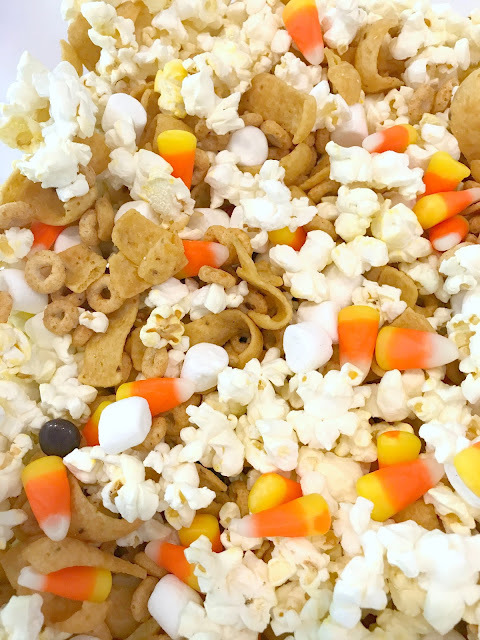 If you're ready to accept this mission, gather up a few more 'fall' sweets and you're ready. 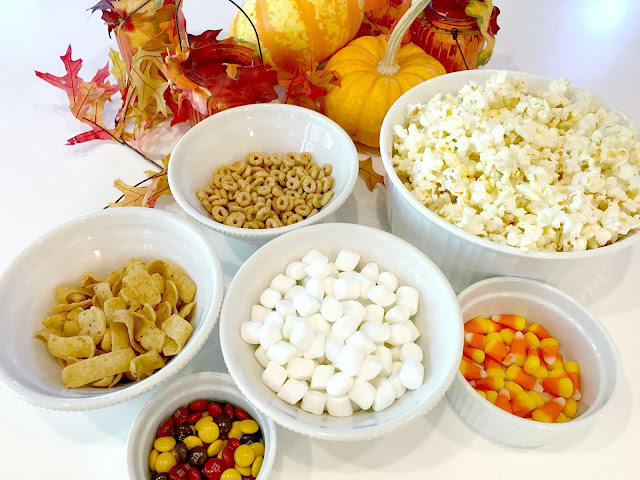 Mix together all these ingredients. 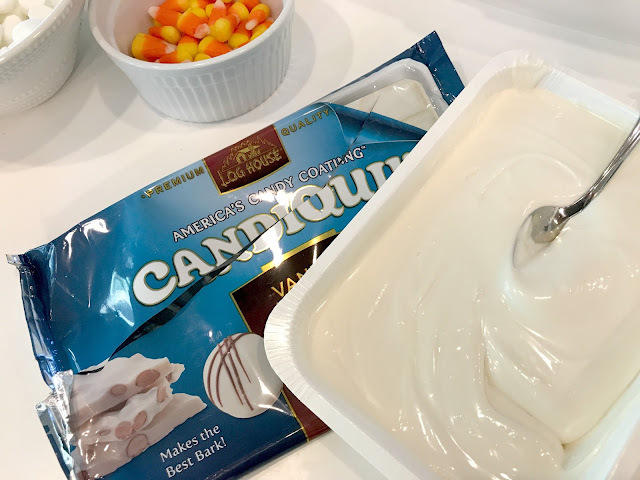 Melt one package of white Candiquik in the microwave. 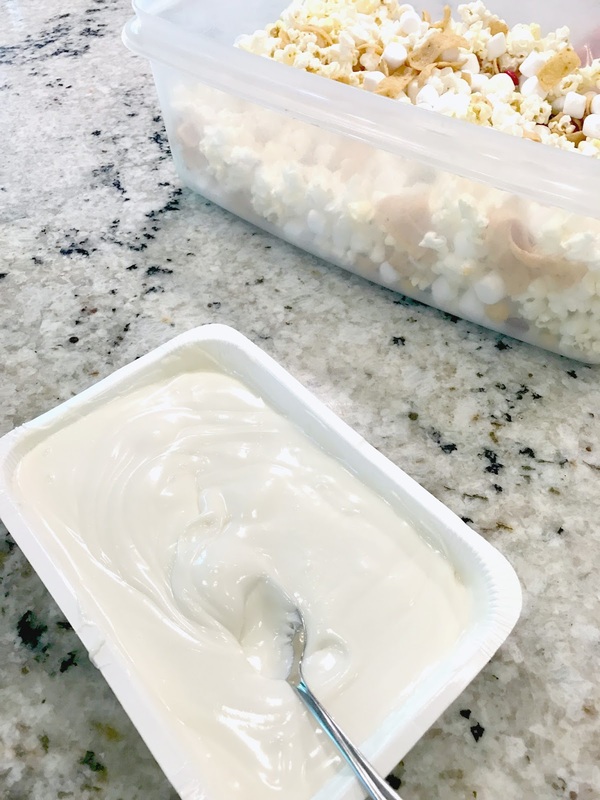 This vanilla candy coating is the glue to all the ingredients...and the addictive formula that makes it impossible to stop eating! Pour melted vanilla candy into the mixed ingredients. 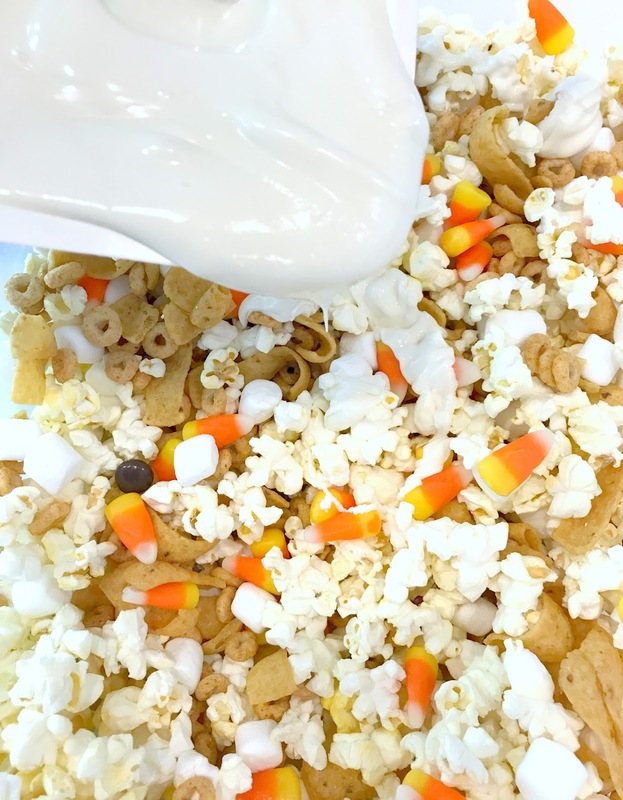 Stir to coat evenly. Let dry. 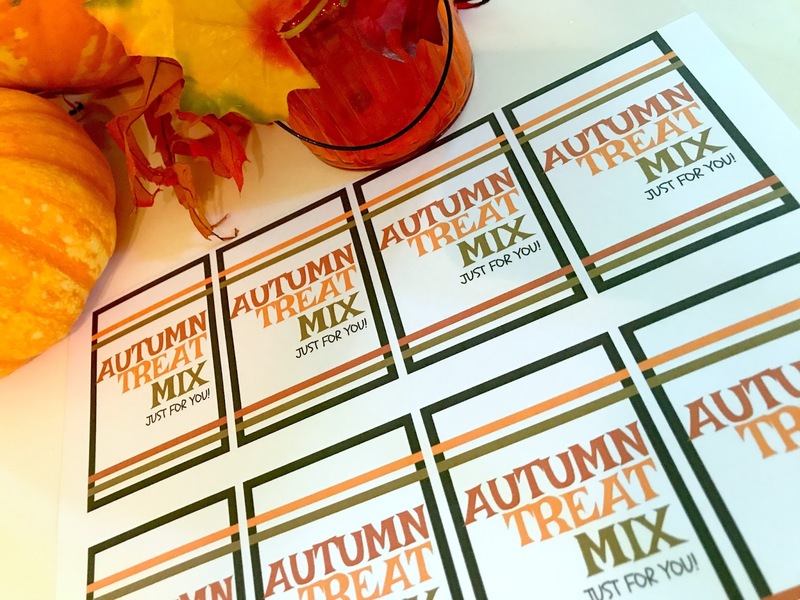 Print out Autumn Treat Mix tags on cardstock. After the white candy coating has dried--give it 3-4 minutes. Fill cellophane bags with the mixture. 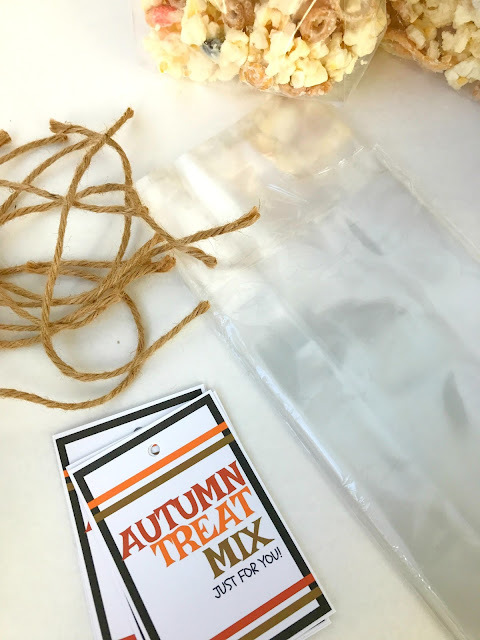 Use a small piece of jute to tie on the tags. 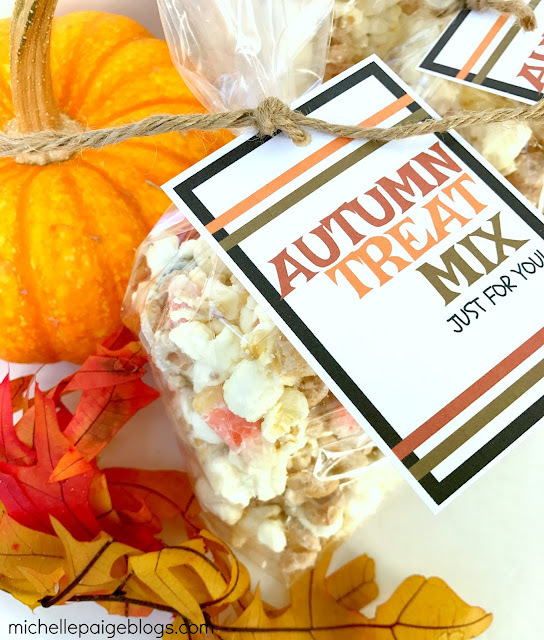 Deliver to your friends and neighbors, NOW! Click here to download your own Autumn Treat Tags. 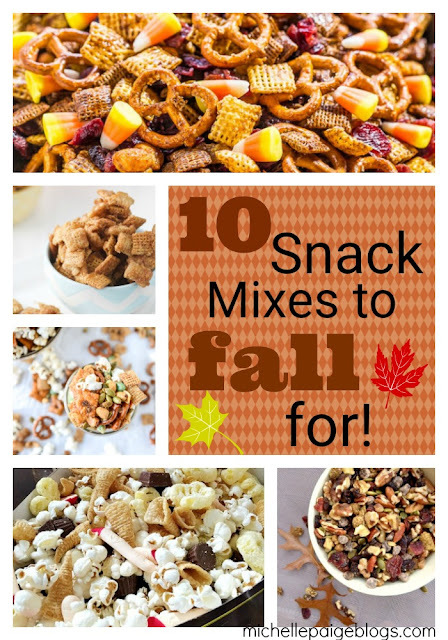 Need some more snack mixes to try? Click here for 10 more! Here's another version without the vanilla coating. Thanks for sharing the tag! Sure! 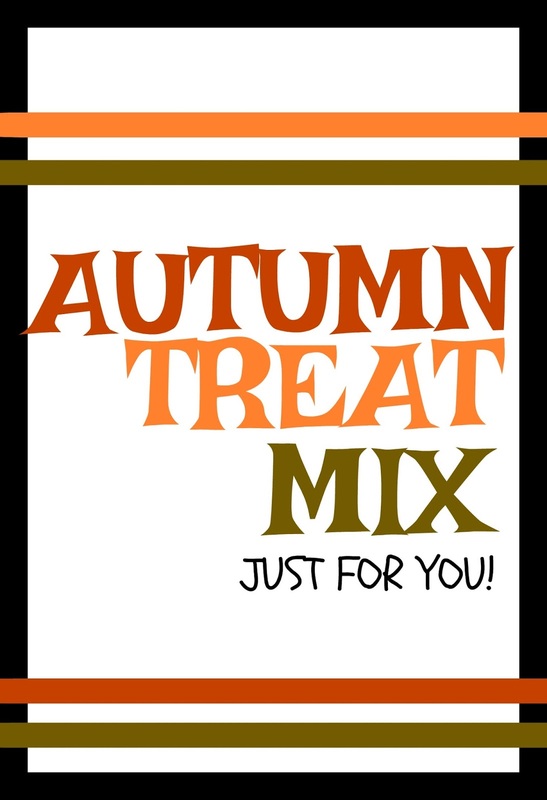 Hope you enjoy the mix!